The Advanced Manufacturing Branch provides a comprehensive set of mechanical services for aerospace applications. We provide GSFC with a multitude of sophisticated technology in support of the Agency’s research and development activities. 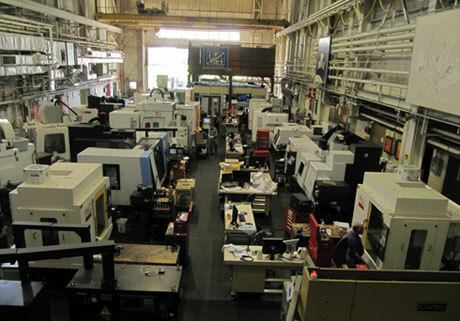 Our services consist of (but not limited to): composite fabrication and assembly, multi axis high speed machining and turning, laser/CMM measurement systems, and CNC sheet-metal fabrication. We also provide services ranging from conceptual ideas to detailed mechanical engineering designs, mission critical GSE, hi-fidelity mockups, and scaled rapid prototyping. We provide the hands-on technical services for all aspects of spacecraft and instrument development for GSFC. We provide our customers with the expertise and capabilities to design and manufacture state-of-the-art spaceflight hardware. Provide exceptional manufacturing, procurement, logistics, and quality assurance services to ensure mission success. Collaborate with engineers and scientists to conceive, design, produce and evaluate complex sensor, instrument and spacecraft components to ensure they will meet or exceed scientific performance goals. Incorporate the use of cutting-edge technologies and processes in the design and manufacture of spaceflight hardware to enable NASA’s flight programs to make awe-inspiring discoveries.